This sketching tutorial will teach you in complete detail about drawing of a acacia tree. 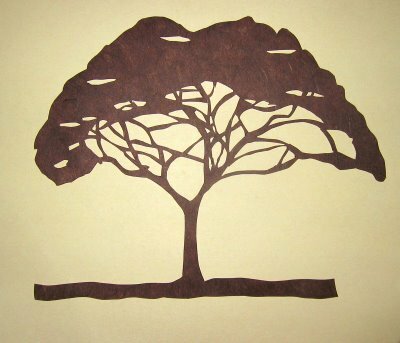 The tree is very easy to portray, while when it comes to acacia tree, the depiction become some what different. But you can get excel into art, learn this skill just by coloring pages of pages full of drawings. Follow the easy video tutorial and act upon it as it is. You have common sense and can extra things into your creative drawing of tree. This tutorial can be followed by kids and beginners of the field, that do not know the basics of how to draw. Just imagine in your mind an image of acacia and then put it on the paper with your pencil. Must remember, you should have all necessary things of drawing and painting with you while at work. So that whenever you feel need of it, you can get access to things easily and quickly. You must have an eraser and sharpener with you. Because in case you require that while sketching a tree then your mind will definitely divert from what you are focusing right at the time. This easy video tutorial of realistic drawing an acacia tree will definitely help you in your skill. We are waiting for our viewers feedback, so that we can make some required improvements and add some add extra information to the blog. You can submit your drawing, sketching and painting related work to our website. We will be happy to publish it with your bio. Learn here : Sketching of a beautiful rose. Also watch some of our previous videos that will teach you in detail “how easily you can sketch” any thing within few minutes. Just focus on what you are drawing and then see the things happening for you.